I redid my nails again! 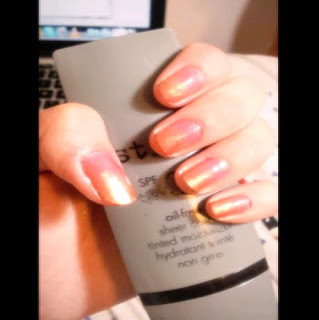 This time, inspired by Effie Trinket and the nails she had during the Reaping scene. China Glaze Wild Mink and NYX pigment in Mink Pearl. I didn't intend for the two to have Mink in their names! Also bought some sweet treats from work. I can't wait till after Easter when all the Easter chocolate goes on sale!